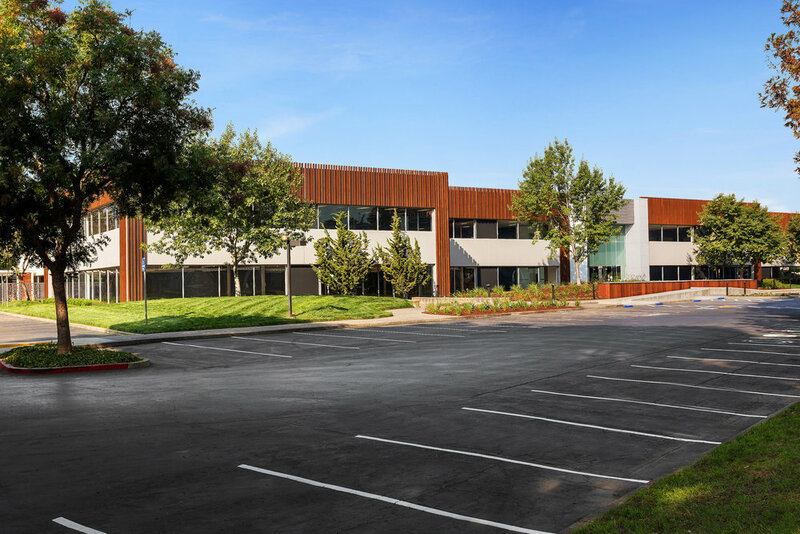 2811 Orchard dynamically transforms a long forgotten building into an exciting new home for Fetch Robotics - an exciting Silicon Valley company changing the integration of robotics into the manufacturing and warehousing industry. Stained accoya stacked in a rhythmic pattern screens and shadows the facade, while a wood clad retaining wall situated behind sloping board formed concrete directs movement towards the translucent entry and a procession of light filled spaces into the new modern interior. A simple palette of timeless and earthen materials integrated into the facade reappear in landscape and outdoor elements, intimately tying the newly transformed spaces together. Custom designed waterjet cut perforated screens create a perimeter fence that brings both privacy and energetic shadows into the intimate outdoor spaces. Dynamic technological aspects paired with warm natural materials create a customized environment for an exciting company to flourish.